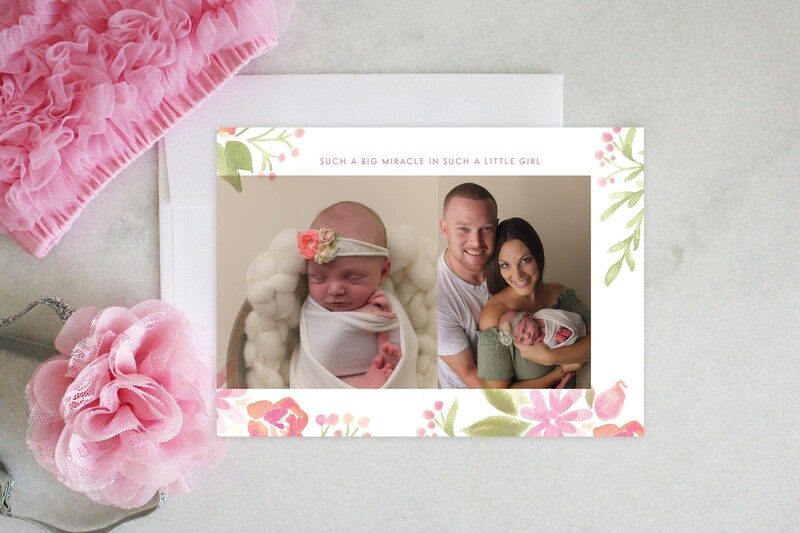 This double sided birth announcement is perfect to showcase your new family! 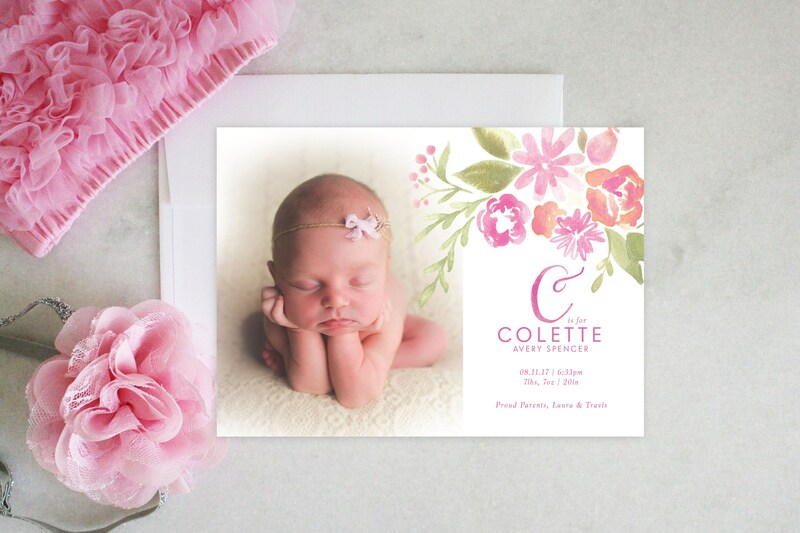 The front consists of a solo shot of your new baby, adorned with a bouquet of gorgeous watercolor florals, along with a custom calligraphy capital letter of her first name. The backside can feature 2 photos of your choice, surrounded by more summer florals. Please email your photo to HostClubLLC [!at] gmail.com after your purchase. Please specify the following details in the ‘notes to Host Club’ section during the check-out process. - Custom message for backside (if different from the featured message).